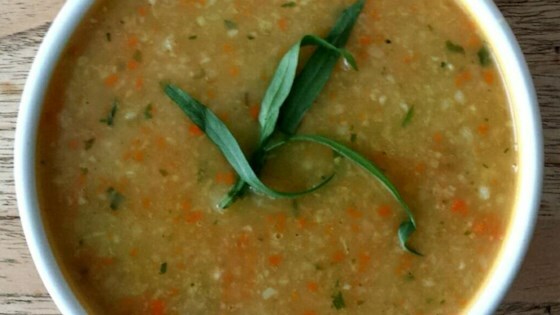 "This is an extremely easy soup to make. It freezes very well, so you can double or triple the recipe and keep it in the freezer." This soup is easy to make and really good! I did not blend it, though. Very tastey and easy to make. I kept the ingredients the same however I did not blend the soup. I finely chopped all the veggies, cooked and served. Great! It was very easy to make and very forgiving because I wasn't too precise with the measurements. I'll definitely make this again.